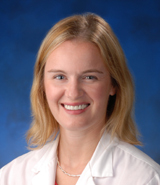 This is a Q&A with Dr. Danielle Perret, Associate Dean for Graduate and Medical Education and an interventional physiatrist, board-certified in pain medicine and physical medicine rehabilitation. She is an Associate Clinical Professor in the Department of PM&R at the University of California, Irvine. This podcast is moderated by Dr. Alice Hon, a Spinal Cord Injury Fellow at Kessler Institute for Rehabilitation and a member of the Association of Academic Physiatrists’ Education Committee.